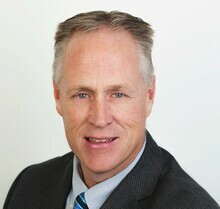 According to a recent media release, the Westwind Board of Trustees is happy to announce Darren Mazutinec has been officially appointed superintendent of schools for Westwind School Division #74 effective July 1. Southern Alberta born, raised, and educated — Mazutinec has dedicated his life to working with students. During his 29-year career as an educator, Mazutinec has filled various roles, including teacher, coach, vice-principal, principal, and administrator, it was stated in the media release. Most recently, Mazutinec held the position of principal of Stirling School from 2010-2018 before being hired as Westwind’s deputy superintendent last spring. The Board of Trustees engaged in public consultation and gathered valuable input from members of the Westwind community through an online survey used to develop a superintendent job profile. Based on feedback gathered by the public, as well as the Superintendent Leadership Quality Standards, the board noted in the media release it is confident Mazutinec is the right person to lead the division at this time. Mazutinec stated in the media release it’s an honour to have been chosen as the next superintendent of the Westwind School Division. “Our division encompasses all that’s good in education with its vast diversity of schools and students. Our students are provided daily access to quality teaching, learning, and extra-curricular opportunities by the careful care, planning, and involvement of our school administration teams, teachers, and educational assistants. We have a lot of good people doing a lot of great things for everything connected to our division.” According to the media release, Mazutinec loves living on the prairies of beautiful southern Alberta with his close-knit family. He and his wife of 26 years, Kristi, live in Stirling. “Westwind will carry on our journey of quality learning and care for all students by continuing to focus on the small and simple truths of education — which centre around the expectations of life-long learning for all students and staff and creating safe, comfortable, and accountable learning environments for everyone in Westwind,” he explained, in the media release.